Each year, several hundred NATO military and civilian advisors are deployed to Afghanistan as part of Operation Resolute Support’s mission to train, advise, and assist the Afghan government. This mission relies on a software system called ANET to track and understand advisor engagements with their Afghan government counterparts, as well as facilitate strategic decision making for future mission development. However, the existing system suffered significant gaps in connectivity, decreased usage, poor performance, and flawed software development practices. Ultimately, the software did not help advisors pass along critical information to their successors in theatre, and failed to enable strategic decision making by leadership. 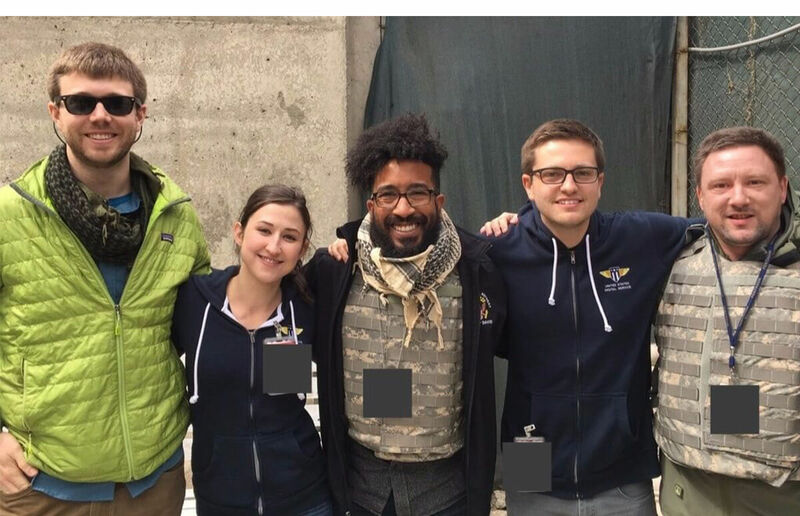 Members of the Defense Digital Service team in Afghanistan, during the time they worked on ANET. In November 2016, the Defense Digital Service team began to replace the existing systems using modern software development standards. DDS spent a total of 18 weeks building ANET 2.0 with small teams on rotation to Afghanistan, working directly with NATO advisors and leadership. ANET 2.0 was fully deployed on a classified network to roughly 800 advisors across Afghanistan in March 2017 and long-term maintenance was handed to NATO developers based in Europe. The new system has a higher performance and faster speed, increased usability for multinational advisors, and ehanced search/ analytics capabilities. ANET 2.0 was released on code.mil, DoD’s open source program launched by DDS in February 2017. In addition, DDS is working on the broader adoption of ANET to support various security cooperation missions around the globe. The Defense Department must move at the speed of relevancy. The Defense Digital Service team plays a critical role in meeting that commitment. 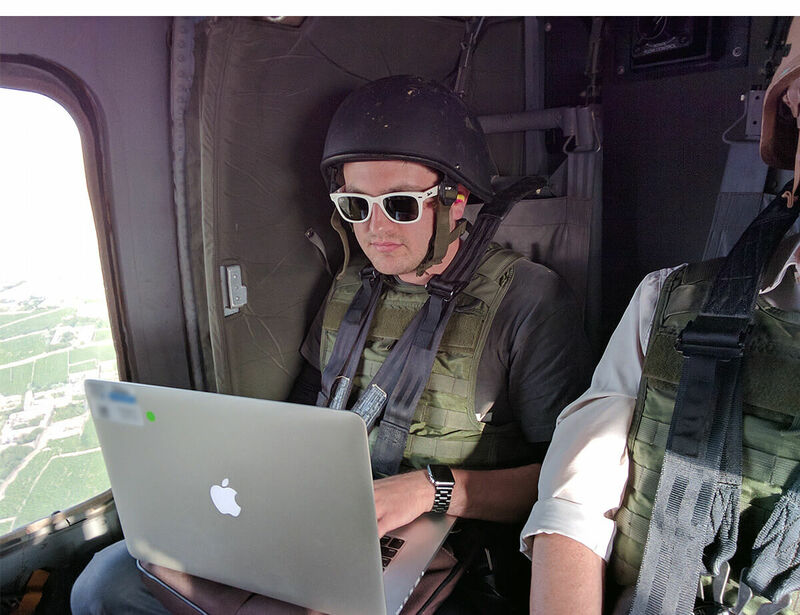 Nick Small, former USDS engineer, on a blackhawk in Afghanistan with members of the Defense Digital Service. Eight million lines of COBOL and 2.5 million lines of assembly running on 15 mainframes. Four percent of the entire American economy is fueled by Medicare payments and 57 million people depend on it for their healthcare. A customized, plain language tool gives Veterans step-by-step guidance for submitting a strong application to upgrade their discharge status. We worked with CMS to build an API that enables beneficiaries with different needs to grant access to developers that can help them monitor for drug conflicts, refill prescriptions, and track progress towards desired healthcare outcomes. The Quality Payment Program API makes it easy for clinicians to submit quality metrics to CMS and for the government to review and return feedback promptly, which leads to greater health outcomes for patients and a more positive experience with value-based care for providers. Since kicking off in 2016, the Hack the Pentagon program has engaged ethical hackers across the globe to help the Department of Defense identify and remedy thousands of security vulnerabilities. Our defense team spent 18 weeks building a critical software system with small teams on rotation to Afghanistan, working directly with NATO advisors and leadership. We partnered with U.S. Citizenship and Immigration Services to move the paper-based immigration process online, providing applicants with a better experience and improving USCIS's processes.